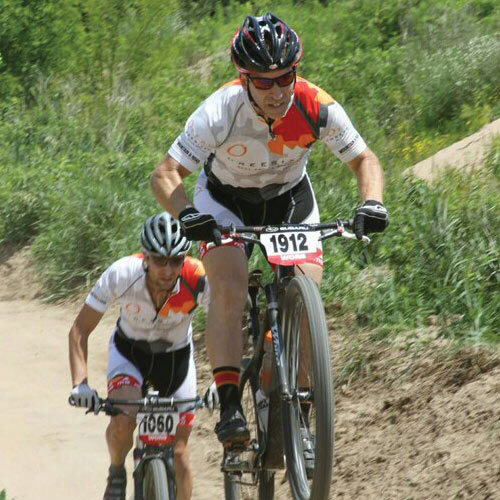 We are outdoor enthusiasts, community members, cyclists and a family of bike lovers here to help you further your passion for pedaling. Smith’s Bike Shop opened in 1895 in La Crosse, WI. 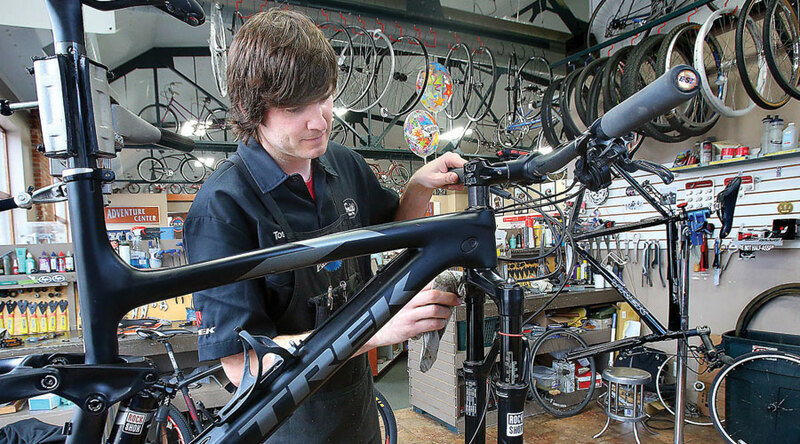 In 2002, after just over 100 years in business, Smith’s moved to it’s current location on 7th St.
Erik and his signature sideburns began working at Smith’s as a bike mechanic in 1996 and remained an employee of Smith’s for 20 years. 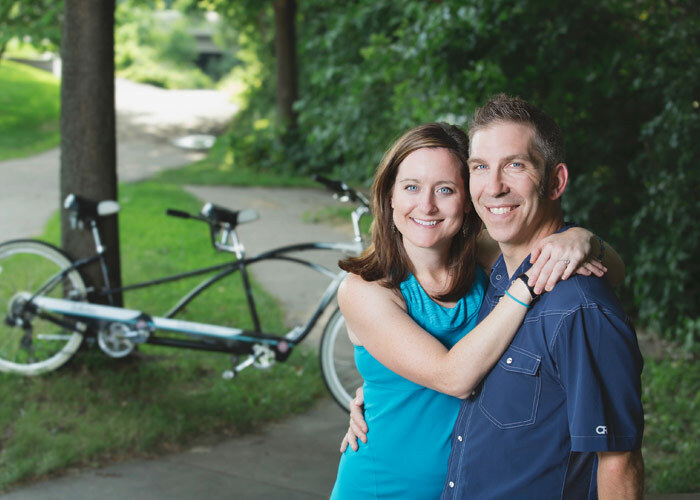 The opportunity was right for Erik and his wife Randi to buy the shop in April 2016, carrying on the Smith’s name and enthusiasm for everything related to bikes. 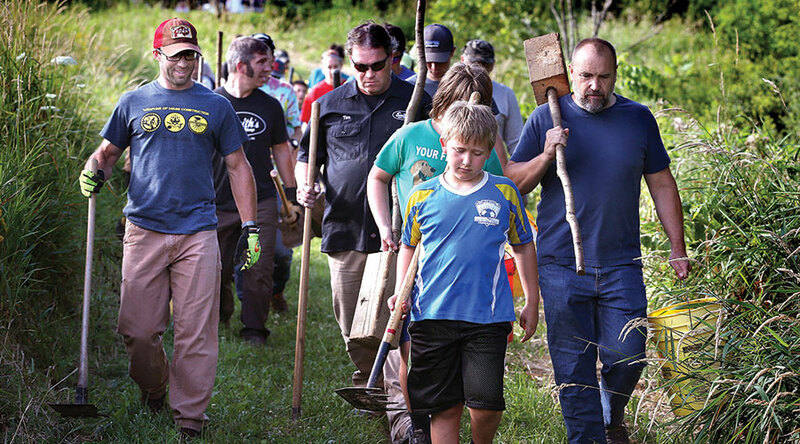 ”We love connecting with the biking community and supporting anything to do with bicycles. 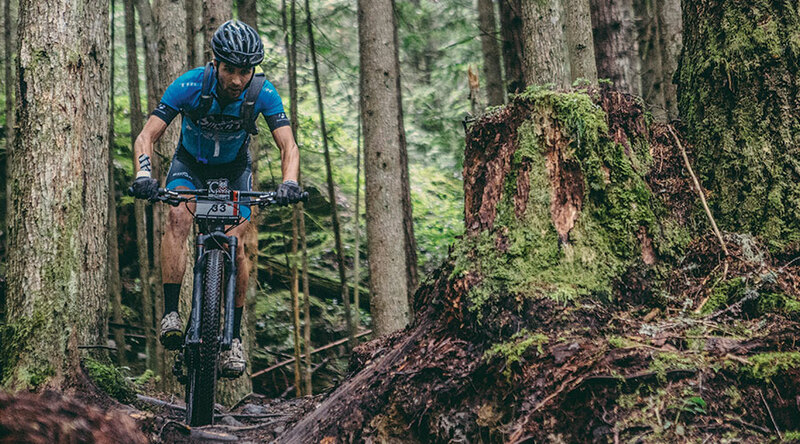 To put it simply, we love bikes. 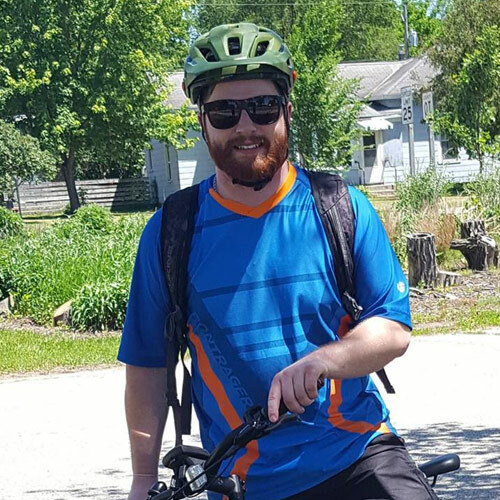 When we’re not at the store, Erik can usually be found up at the Human Powered Trails (HPT) on one of his mountain bikes (unless he’s watching Star Wars). 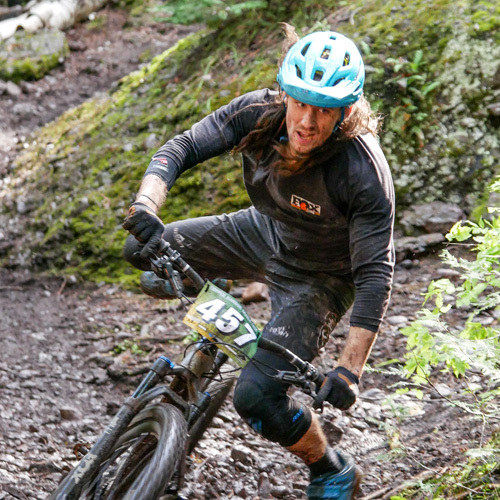 He can also be seen tearing up the pump track, on a long road ride, or on his fat bike in the snow. 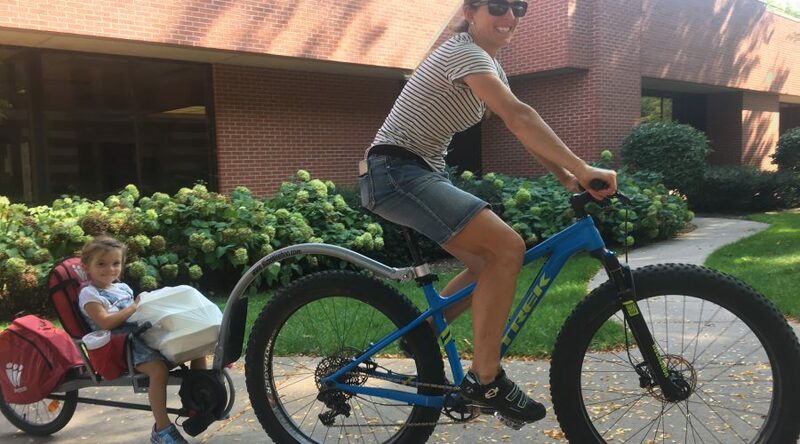 Randi likes to run errands on her e-bike, go for a road ride, or ride her fat bike through the HPT trails. 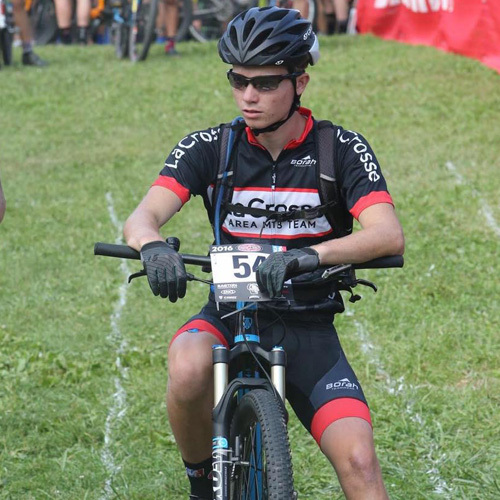 Our son, Ethan, commutes by bike and can be found mountain biking from time to time. 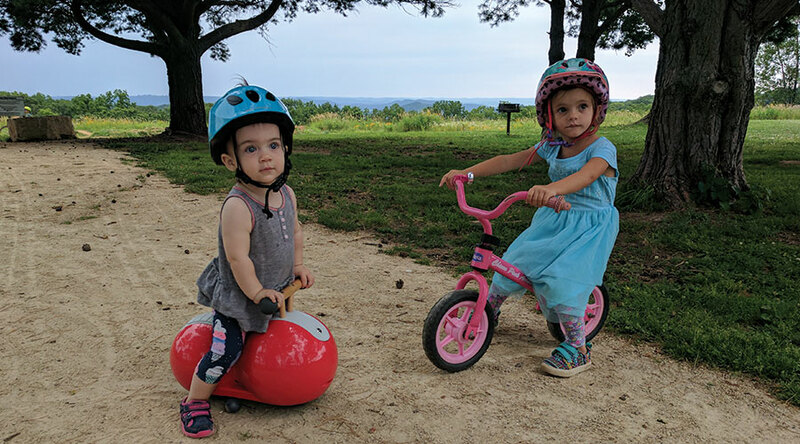 Our daughter, Rey, is learning to ride a balance bike and loves to play around at the pump track with all of her friends. 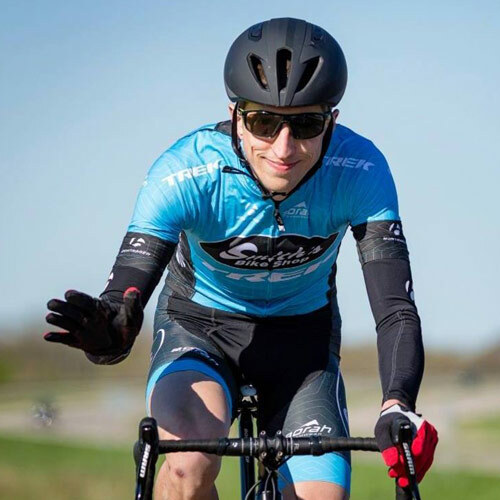 Our team is a melting pot of personalities and interests but they all share one common thread; helping people get out and ride bicycles. I started riding as a kid, jumping make shift jumps in my front yard. I started racing BMX in 8th grade and continued for 12 years (my poor mother). 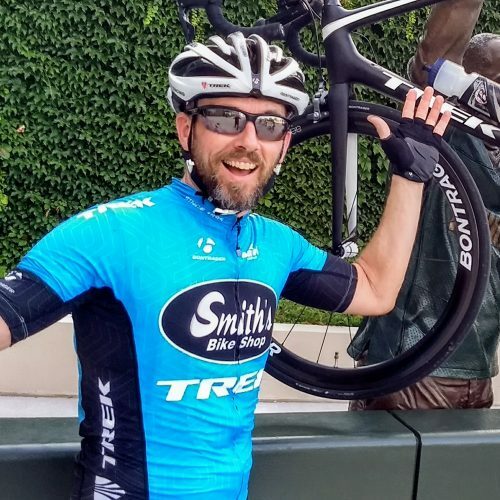 In 1997, I started working at Smith’s Cycling and Fitness. 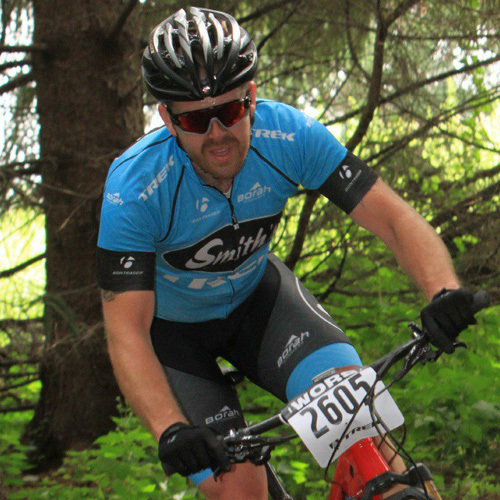 Shortly after that, I started racing mountain bikes, almost exclusively on a single speed. 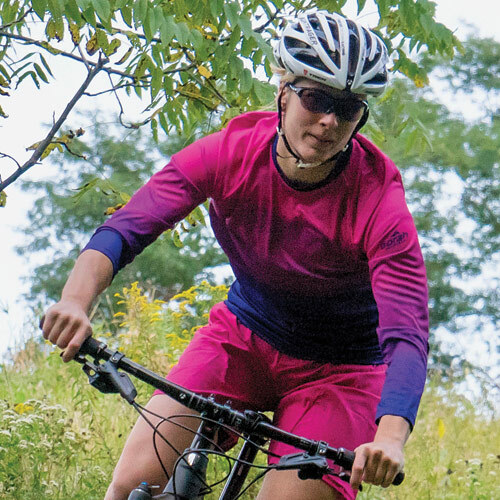 To get faster at mountain biking, I started riding road bikes and I haven’t stopped since. If I’m not working at the shop, I’m on my bike….I’m basically living the dream of an 8th grader. I met my husband and some of my best friends because of riding bikes. Any day on a bike is a pretty good day. I’ve been riding bikes since I was 5 years old (in my trusty cowboy boots). I really wanted a BMX bike and my parents brought home a used girl’s, blue Schwinn from the old Smith’s Bike Shop. It had flowers on the banana seat and chain guard. After that, I was hooked! Biking for me was always a means to an end. I used to ride from A to B, never really anything serious. That is, until I found my grandfather’s old road bike in his garage. A nothing-special steel frame that was in disrepair. I took it, refurbished it, threw on a single speed and I was hooked. 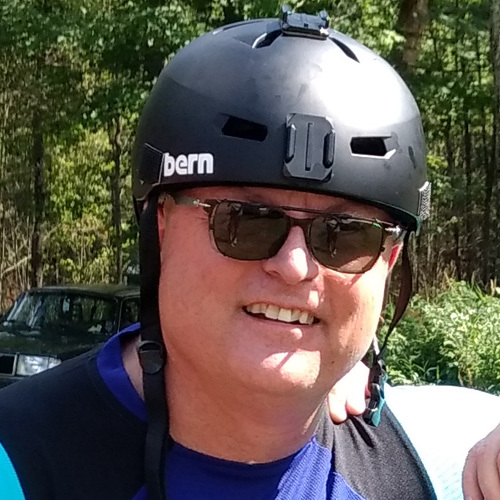 Now I enjoy riding with friends, riding around town, riding to camping destinations and mountain biking. What started as a mode of transportation has quickly turned into a hobby that I really find myself enjoying. The means to an end has become an end in itself! I stopped running around 2000 when my knees spoke to me and said, “Stop! 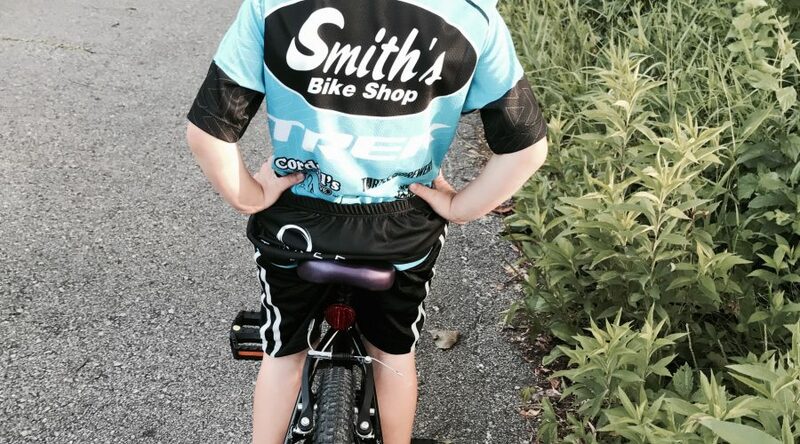 You're killing us!” I wanted to continue to exercise and my son suggested I stop at Smith’s and check out a bike. 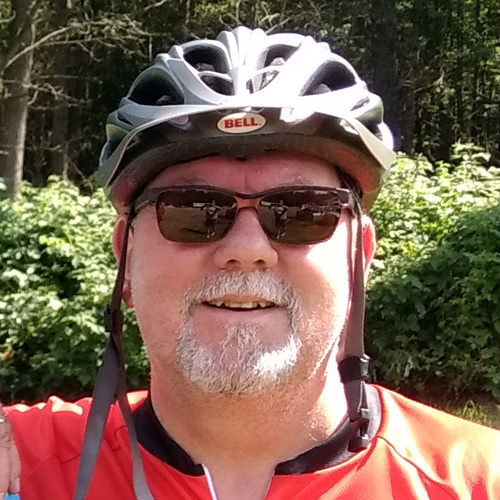 I hadn’t ridden in a number of years but thought, “What the heck.” Everything changed on May 11, 2001 when I stopped and bought a Trek 7500. I was hooked. Within a year I added a 5200 Road Bike, and then a 6000 Mountain bike. Cycling is more than exercise, it is my inner peace to ride for no other reason than to ride for the simple joy of it. I was so fortunate to start at Smith’s in 2011 after retiring from teaching and could not have found a better place or people to work with. Come into the shop and you will receive the best service and hospitably, like an old friend. I started doing a little racing a couple of years back, first with the Senior Olympics and last year with WISport. I have been lucky enough to qualify for the National Senor Olympics three times. In 2007 I found myself weighing in at 265 pounds and smoking a pack of cigarettes per day for the past 8 years. 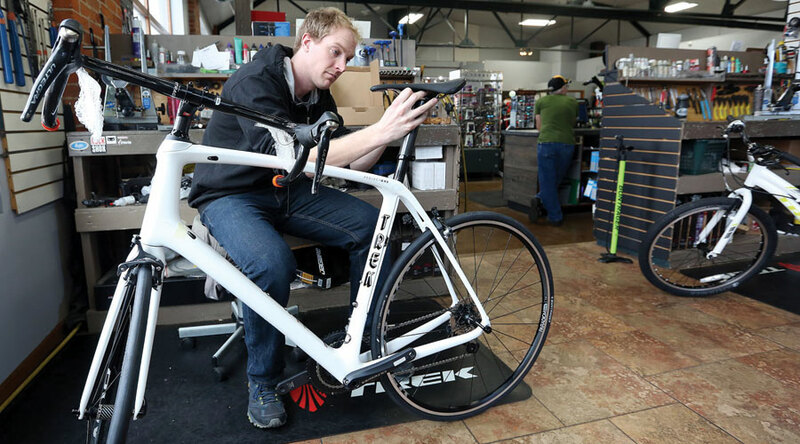 I wanted to get healthier and it just so happened that my roommate at the time had won a Trek 4300. 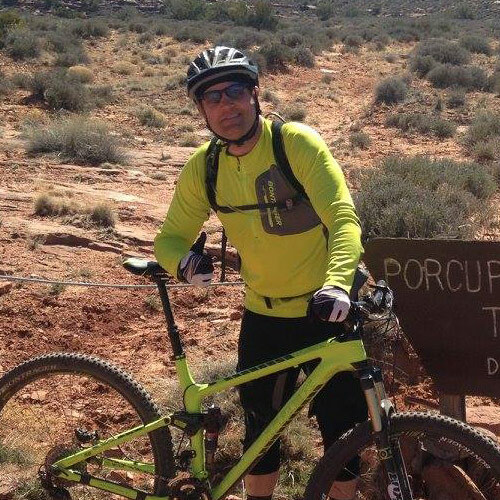 Shortly after I acquired the bike from him and fell in love with mountain biking, starting with excruciating 5 mile rides. It has since captivated my whole life and keeps me focused on accomplishing my next goal, whatever that may be. Cycling has not only provided me with a much happier, healthier life; but also a group of friends whom I would consider family. 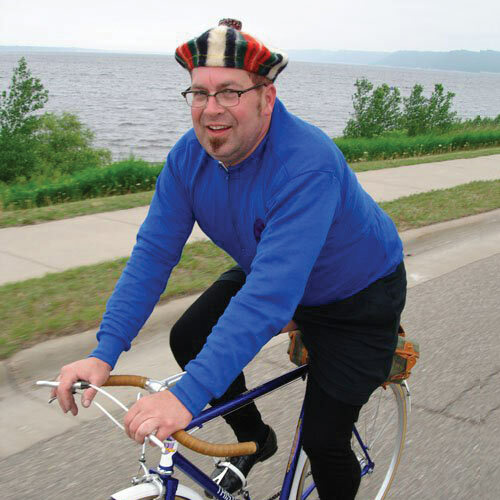 My favorite part of working at Smiths is helping people have the best experience that they can have on a bicycle. I started as a triathlete on an FX 7.1 in 2011. I've been hooked on bikes ever since and it has literally changed my life. 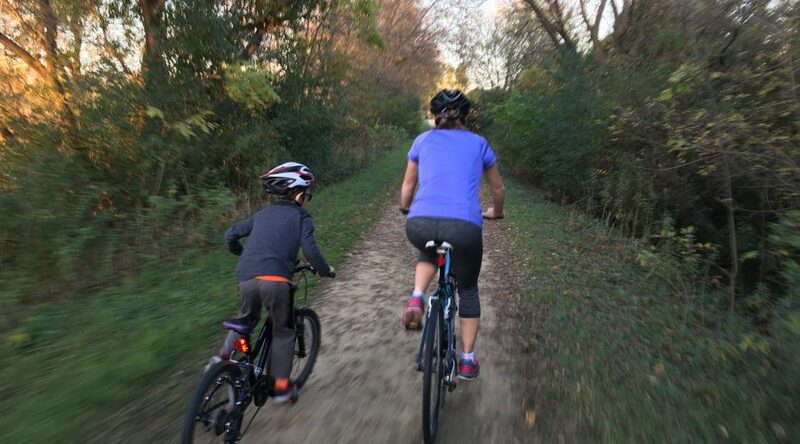 I ride all year, in just about every way possible, and I've gotten my wife hooked and even our kids love to go for rides. My advice is to find the bike that works for you and ride it. Or find 6 and ride them all. 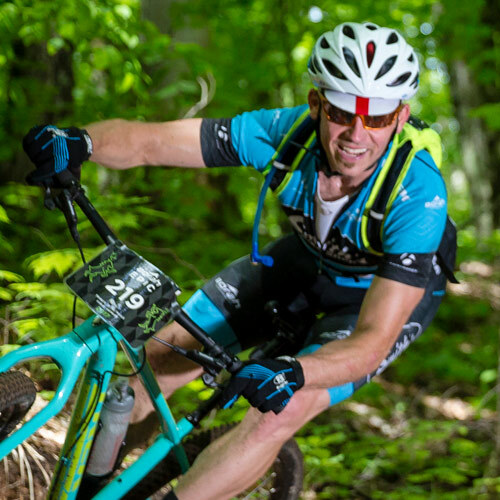 Certifications: Trek Ninja, NICA High School Mountain Bike Coach, Fully-Certified Teacher! 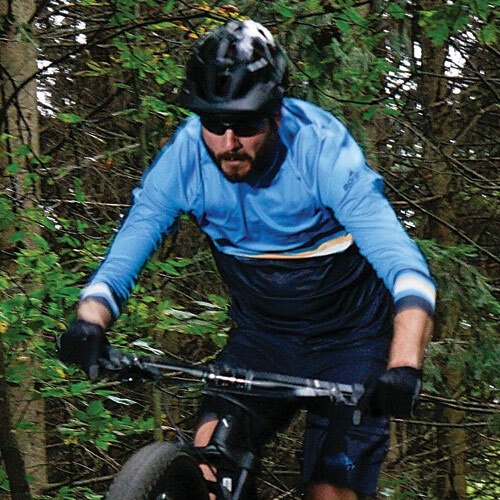 I started riding bikes as a kid to get around town with friends, but then I found out how much fun speeding through the woods on two wheels can be! 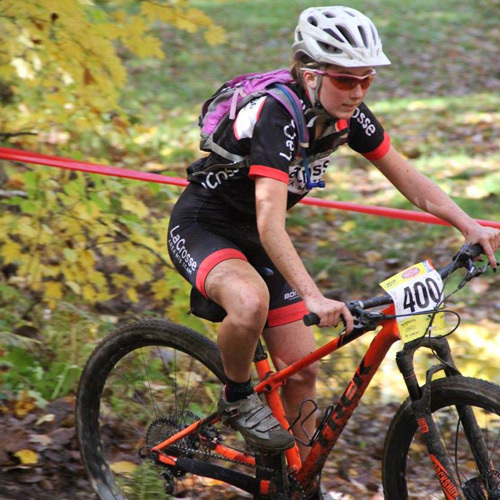 Always having been active in several sports, I fell in love with cycling when I first hit dirt on the Human Powered Trails in 2006. 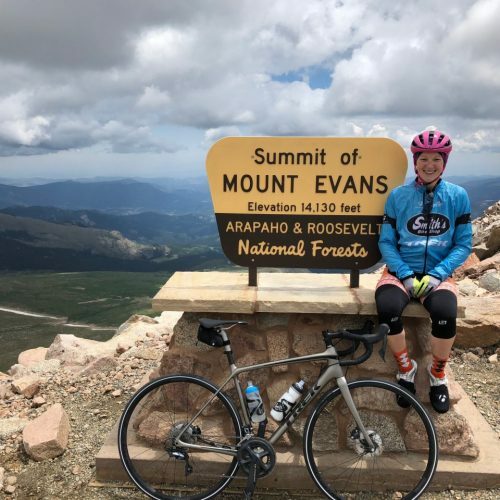 From mountain biking, I started to road bike in order to gain more fitness, and then I got into all types of riding so I could spin all-year long, yes, including in the snow! 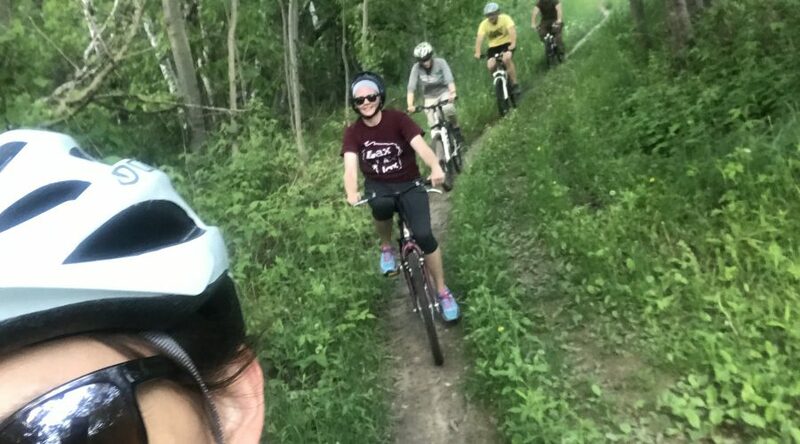 If I am not on my bike, you will find me either in my classroom, coaching, hiking, or hanging out with family and friends. 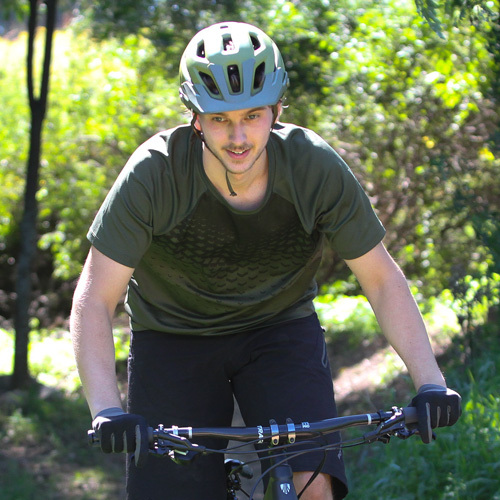 I started mountain biking as a kid when my dad took me to the Human Powered Trails. 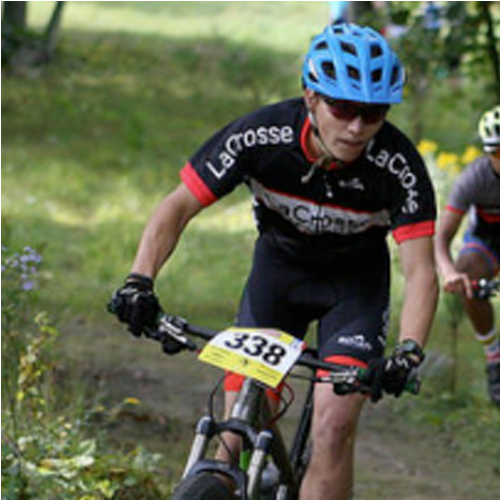 After riding on and off for a few years, I joined the La Crosse Area Composite mountain bike team during my sophomore year of high school, and have been racing ever since. 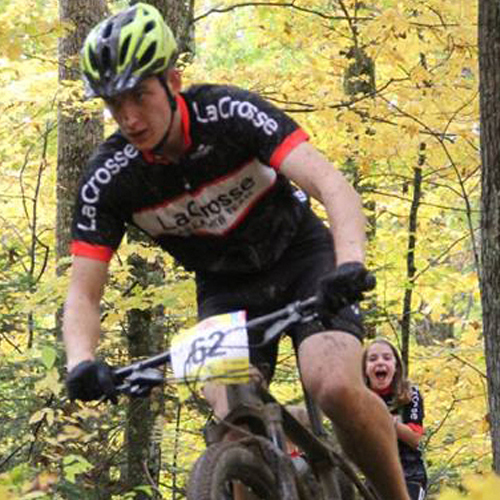 Now, as a freshman at UW La Crosse, I am a coach for the mountain bike team in addition to racing and riding for fun. 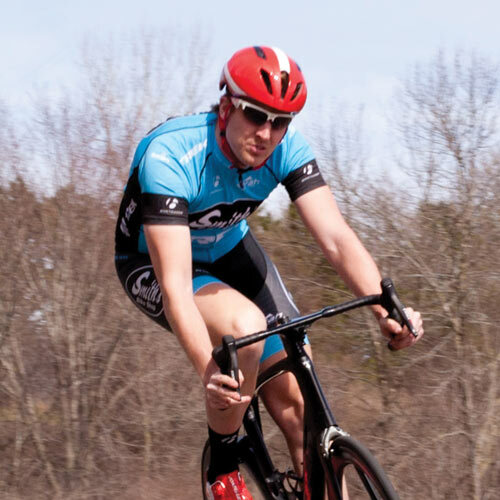 Cycling has become my main passion in life, not only because of the riding itself but also because of the amazing people in the La Crosse area that make this a great place to ride bikes. I've been riding bikes since I was a kid, and racing and wrenching since the 90's. 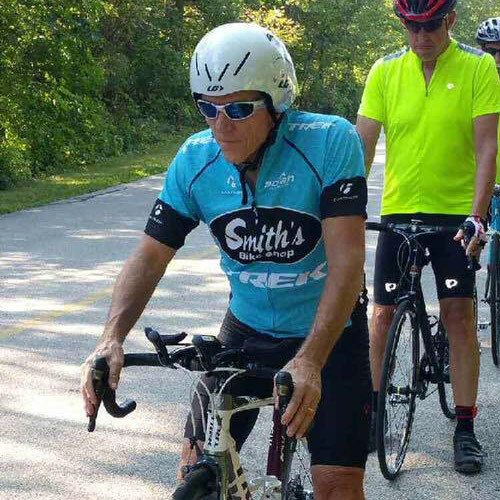 I enjoy the solitude and challenge of long-distance rides; as well as the camaraderie and making new friends on local group rides. 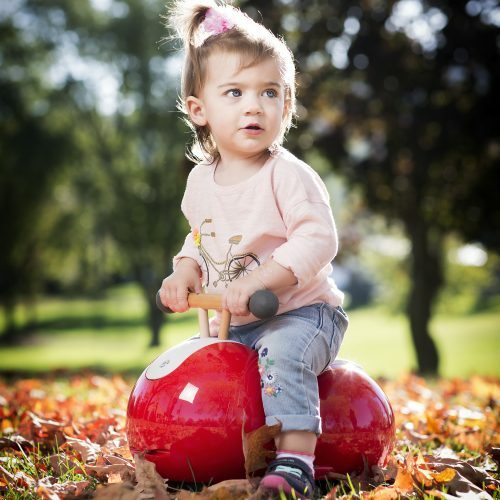 “A bicycle ride around the world begins with a single pedal stroke.” ~ Scott Stoll. 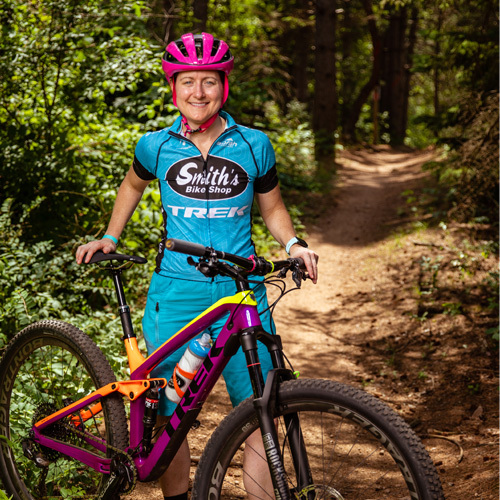 I started riding after having children to get back in shape. 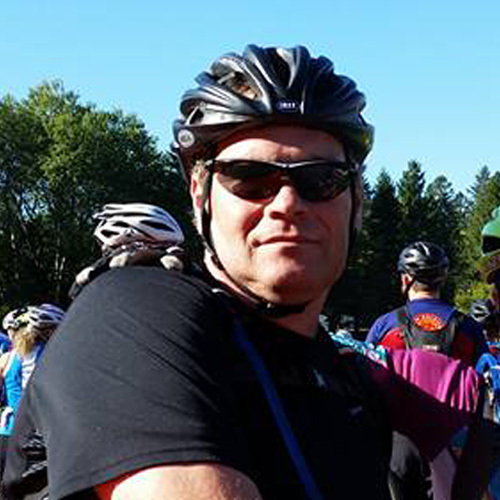 My husband had started riding a few years before me and had encouraged me to start. 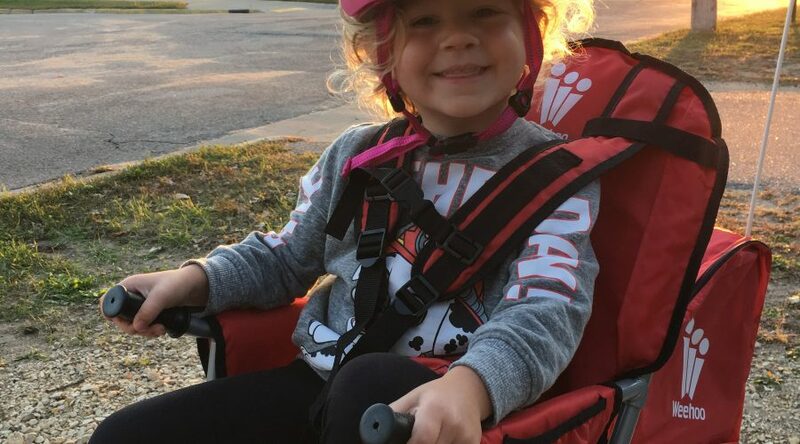 Biking has changed my life and my family's lives. 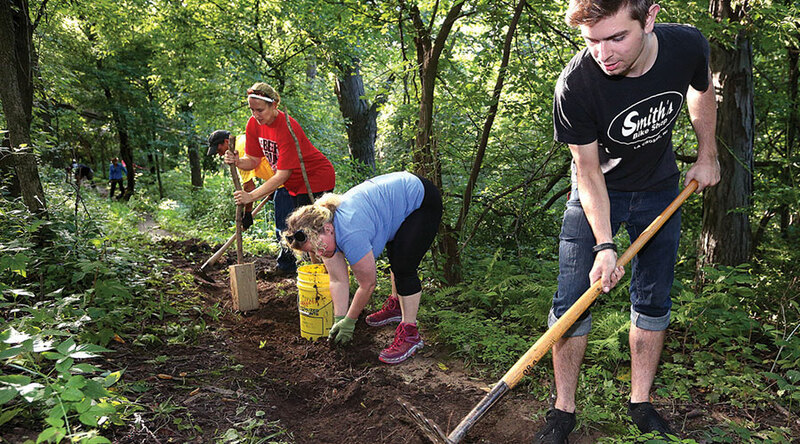 Because of biking, we have developed new friendships, become more involved in our community, and maintained our health. It's pretty amazing! I strongly encourage women to give it a try. 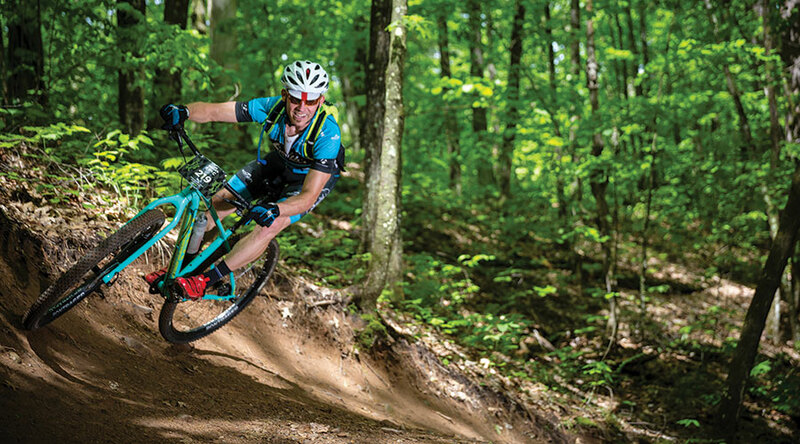 There are so many different types of bikes that lead to different opportunities. 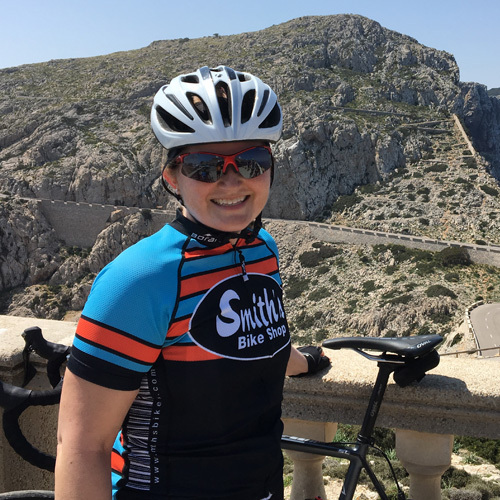 Instead of making New Year's resolutions, I set annual cycling goals - they're much more fun!